Mané-Katz spent his childhood in a religious atmosphere, which left a deep mark on him and permanently influenced his work. His father was a shamasch (watchman of the synagogue). Following his studies at the School of Fine Arts in Kiev and in Vilnius, he arrived in Paris in 1913 with just twenty-five rubles on him. He studied painting in the studio of Cormon at the Ecole des Beaux-Arts, together with Soutine, Krémegne, and Kikoine. In 1914, he was not able to enlist in the Foreign Legion due to his short stature. That same year, he had to go back to Russia, which was then at war. 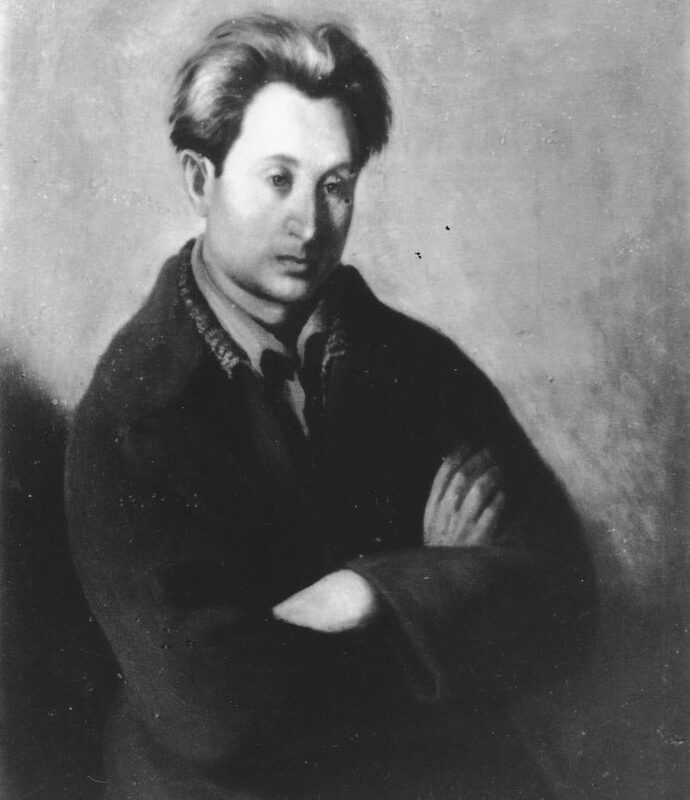 In 1917, after a trip to London, Mané-Katz was appointed professor at the School of Fine Arts in Kharjov. In 1921, he went to Baku, Tiflis in Georgia, Moscow, Minsk, and Warsaw before returning to Paris. He acquired French nationality in 1927. Mané-Katz traveled to numerous countries throughout his life. Between 1928 and 1937, he successively visited Palestine, Egypt, Syria, Czechoslovakia, Poland, and Lithuania. He returned to Palestine in 1935 and 1937. In 1939, he was a sentry at the École Militaire in Paris. He was arrested by German soldiers in Royan, but managed to escape via Marseille to the United States. He remained in New York for the rest of the war. Following the war, Mané-Katz settled in Paris and continued to travel during the last ten years of his life. He visited Israel (1948), South Africa (1950), Japan and India (1957), before going to New York and Paris in 1960. His works are kept at the Mané-Katz Museum in Haifa, Israel.